I’ve just started a new phase in my life. I’m back full time at work (and blogging is not my full time job), juggling work, family and me time clumsily. Although I believe in allocating time to all 3 departments so as to live life to the fullest, it is not always easy. 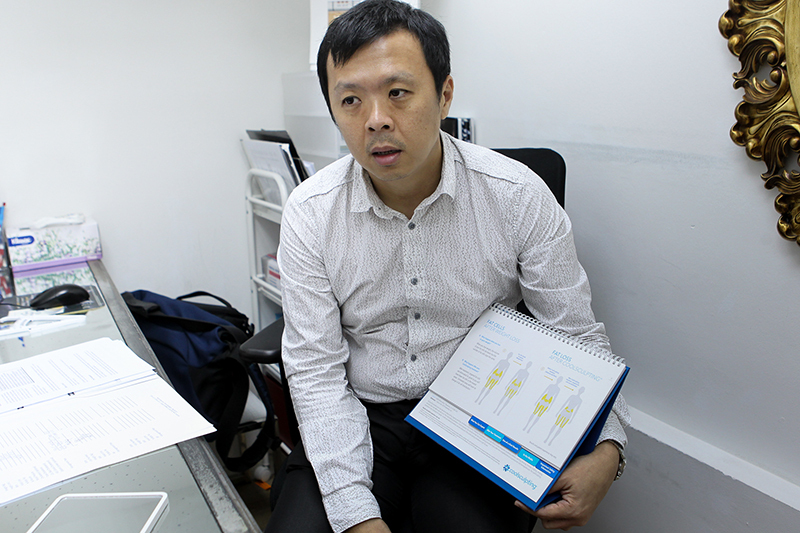 Today’s sharing a post on some me time, where I decided to pay a visit to Dr Terence Tan at Halley Medical Aesthetics. I had some fat-freezing done when I was last there and I was very happy with the results. I may have lost all the kilos gained during my pregnancy but the pregnancy has definitely left it’s mark on my body. I went to Dr Terence Tan without much of an idea what I could do to address my insecurities about my body. During the consultation, he patiently listened to my concerns. 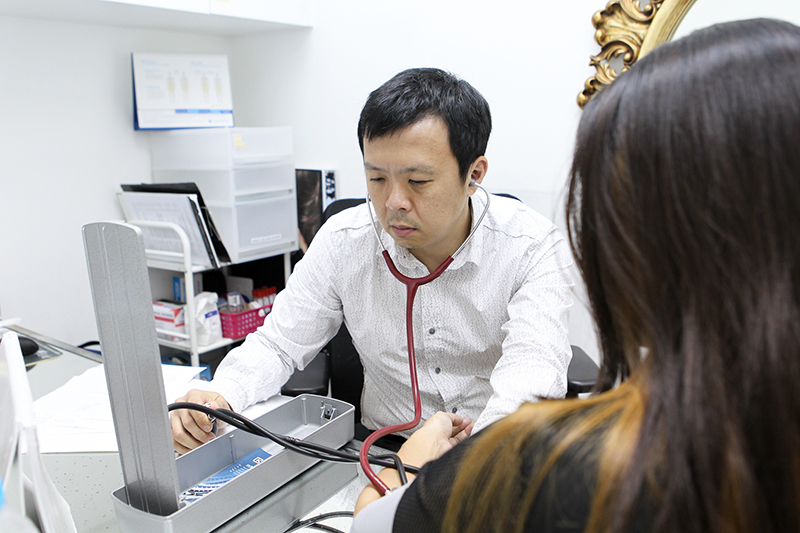 He always starts by checking my blood pressure so that he can better tailor the treatments that are suitable for me. It is not unusual for our facial skin to sag after weight loss. I’m looking a non-invasive treatment that can help to lift and tighten my face quickly. The sag on my skin is mild but not mild enough for me to ignore it. To address my face concerns, Dr Terence Tan recommended a combination of fillers, botox and face-lifting treatment, Ultherapy. For my body’s concerns, he recommended a combination of CoolSculpting and HIFU (High Intensity Focused Ultrasound). I have never heard of HIFU so I asked lots of questions about it. I am really excited that it can help to reduce fat and tighten skin at targeted areas. I mean, check this out. My inner thigh has 1.5 INCHES of FAT. Gawd I definitely need to do something about this. :( Pronto.